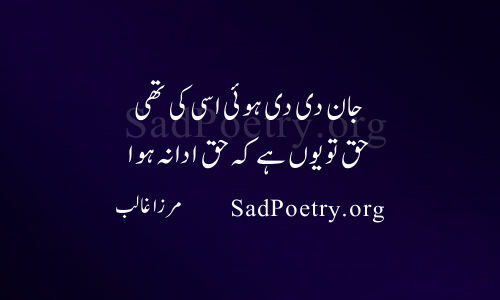 SadPoetry.org is one of the best website for Urdu poetry and English poems. We offer awesome poetry collection of 70+ different poets from all over the world. New Shayari is added regularly. Use our "Add Your Poetry" form to submit your poetry. Copyright © 2012-2019 All rights reserved.